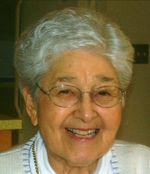 When a friend or family member walked into Thelma Sadoff’s home, they were immediately greeted with an infectious smile and most likely a slice of Bundt cake. Her Bundt cake was renowned – so creamy that a topping was unnecessary. Ever the doting wife, mother and grandmother, Thelma took pride in her home, her family and her community. Thelma was working for a company in Brooklyn, New York, until Arthur Sadoff purchased the company and moved her to Fond du Lac. Here she married Arthur, and together they had two children, Gary and Ron, and three grandchildren. She also had three siblings Pauline, Mae, and Arty. She was very close to her siblings. Mae would visit from New York occasionally. The laughter between sisters would fill the room. Her caring and fun-loving nature made it easy for anyone who met her, to love her. The Sadoff Family Foundation chose to honor this endearing woman by putting her name on Fond du Lac’s newly redesigned arts center because just like Thelma Sadoff, THELMA is distinctive yet comfortable. This warm and friendly home for the arts will continue to reflect our community values and celebrate the people who make Fond du lac a truly special place.